Sam is one of the most exciting up-and-coming talents in British motorsport, competing during 2010 in the GP2 series that supports Formula One. Our brief on taking over management of Sam’s site on behalf of his management company CJ Motorsport was to provide an update to his existing design that reflected his needs for the 2010 season. We did this with new photography and branding that recalls the livery of his new team, GP2 front-runners ART Grand Prix, as well as integrating a regular podcast feature. The site, which also carries frequent image updates and reports of Sam’s race performances, should provide an essential resource for fans who want to keep up with his career. Onlineability director Andy Darley said: “Sam’s site is one of the best designs for a racing driver out there and we are really delighted to be working on it with CJ Motorsport. “The challenge of this project was to keep the elements that work so well already while making sure it still reflected the needs of Sam, his team, his sponsors and his fans. 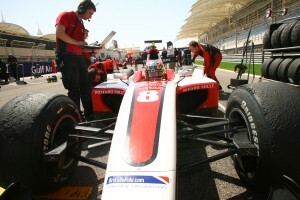 Filed under Things we've done and tagged with GP2 Series, motorsport, Sam Bird.